Control your Audio-Video equipment with your iPad, iPhone or Android device. MyURemote (My Universal Remote Control) is a powerful smart remote app with an easy to use interface. It supports a wide variety of remote control systems, from your phone’s built-in IR blaster as well as direct IP control of your devices, and IR or RS232 Global Cache. The app features a configurable interface with options such as customizable macros. More than just a remote for your home entertainment system, MyURemote can even be configured for a variety of home automation tasks as well. 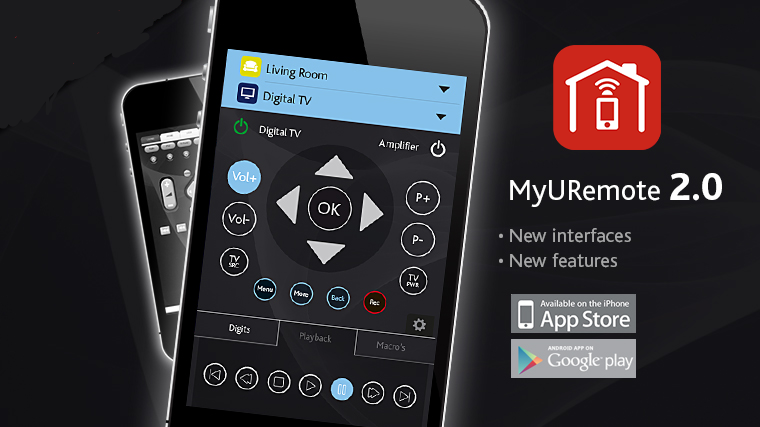 MyURemote supports control of virtually any device. Integrate ALL your remote controls into ONE uniform lay out. Activity based: most user friendly! One Setup for iOS, Android and Windows. Create your own Macros and Scenarios. 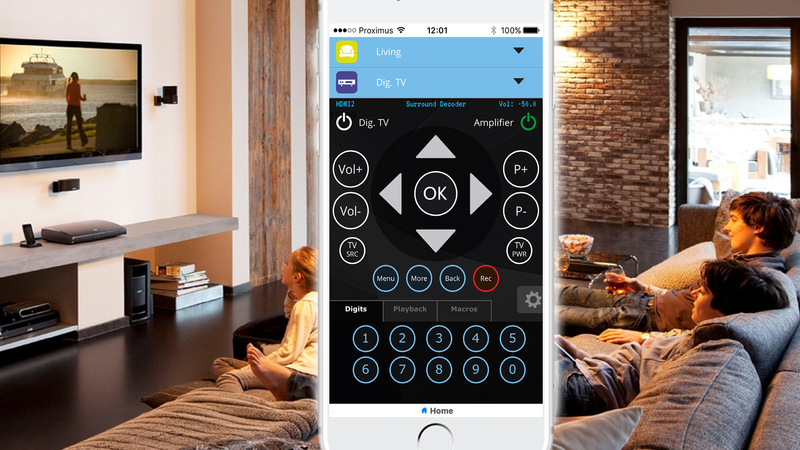 Both home-automation and audio/video control in one app. iOS, Android and free Windows version. The home control interface is perfect to generate a complete visualization and operating center for your home-control system. You can define multiple zones and in each zone as many sliders and buttons as you want. All this for one fixed price! Highly innovative. Keep up the good work! I use this app for audio-video as well for home control. (global cache GC100-12 combined with zennio) super!!!! As a webdeveloper, you can create your own interface and change the app settings to point to your own URL. This way, creative minds have virtually unlimited possibilities with MyURemote. As a Audio-video or home automation reseller, you can create custom interfaces for your customers. MyURemote is also available as a Windows installer. This way, you can use your PC as a remote control for free! And there is more. The Windows version is created with testing and debugging in mind. It generates log files of all commands sent to your devices and return values. Very convenient while developing your custom interface on PC!